THEN THEY WILL SEE THE "SON OF MAN COMING IN THE CLOUDS"
As we approach the season of Advent (in two weeks), the Church turns our attention to the end times - perhaps it is a way of reminding us of how it all turns out before it all begins. In our first reading (Daniel 12:1-3), we hear one of the apocalyptic visions of Daniel promising final deliverance of God's people who are faithful, while others will meet "everlasting horror and disgrace." This vision offered hope to those who were suffering persecution - just as it does for us today. In those days, I Daniel, heard this word of the Lord: "At that time there shall arise Michael, the great prince, guardian of your people; it shall be a time unsurpassed in distress since nations began until that time. At that time your people shall escape, everyone who is found written in the book. "Many of those who sleep in the dust of the earth shall awake; some shall live forever, others shall be an everlasting horror and disgrace. "But the wise shall shine brightly like the splendor of the firmament, and those who lead the many to justice shall be like the stars forever." 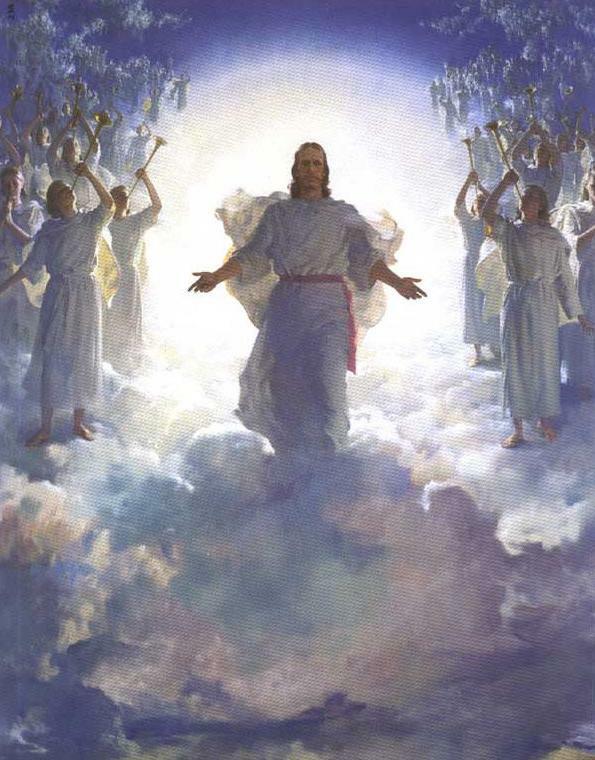 In our Gospel reading (Mark 13:24-32), Jesus borrowed from another one of Daniel's visions (Daniel 7:13-14) as he said, "you will see the 'Son of Man coming in the clouds'". Jesus was describing his second coming at the final judgement. Like the fig tree changing from winter to the full bloom of summer, it would be a time of renewal and transformation. Jesus said to his disciples: "In those days after that tribulation the sun will be darkened, and the moon will not give its light, and the stars will be falling from the sky, and the powers in the heavens will be shaken. "And then they will see 'the Son of Man coming in the clouds' with great power and glory, and then he will send out the angels and gather his elect from the four winds, from the end of the earth to the end of the sky. "Learn a lesson from the fig tree. When its branch becomes tender and sprouts leaves, you know that summer is near. In the same way, when you see these things happening, know that he is near, at the gates. Amen, I say to you, this generation will not pass away until all these things have taken place. Heaven and earth will pass away, but my words will not pass away. "But of that day or hour, no one knows, neither the angels in heaven, nor the Son, but only the Father." In our Epistle reading (Hebrews 10:11-14, 18), we hear yet another comparison with earthly priests and our eternal high priest, Jesus, who offered one sacrifice for sins and then waits until his enemies are vanquished. Once these sins were forgiven through Jesus, there can be no further offering for sin. Brothers and sisters: Every priest stands daily at his ministry, offering frequently those same sacrifices that can never take away sins. But this one offered one sacrifice for sins, and took his seat forever at the right hand of God; now he waits until his enemies are made his footstool. For by one offering he has made perfect forever those who are being consecrated. Where there is forgiveness of these, there is no longer offering for sin. As we begin to prepare for the close of our liturgical year and look toward preparations for that awesome and glorious incarnation, we must keep in mind that God's plan unfolds according to his plan. Nothing is happenstance for God. The ultimate triumph of God has been ordained since the beginning of time.